but they are incredibly useful. are 12 beautiful kitchens and pantries that put the organizing staple to good use. Appliance Storage - Apartment Therapy: If you don't have a lot of counter space, wire shelves can be the perfect solution for storing small appliances, like your microwave or toaster oven. Well-Organized - The Everygirl: This shelving unit, while it holds a lot, isn't overloaded to the point of looking cluttered. Plus, the shelves are smartly organized with frequently used items within easy reach, and serving pieces on the upper shelves. 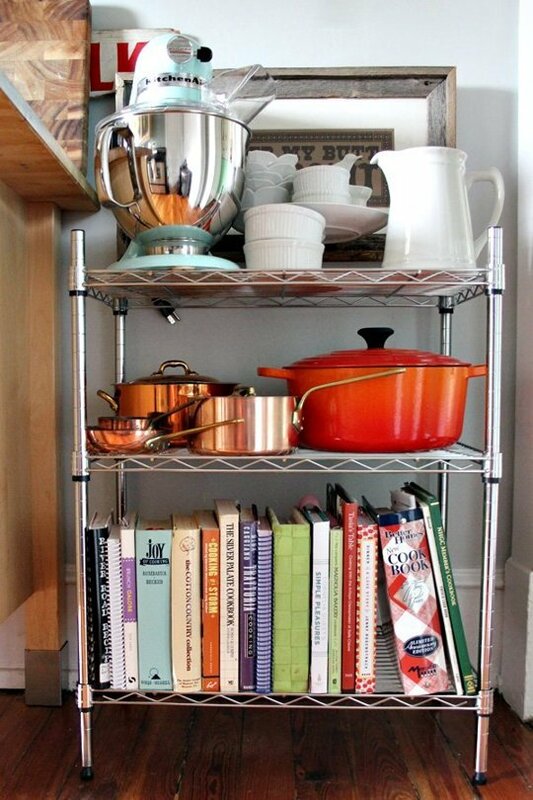 Open Shelving - Interior Collective: One of the best things about wire shelving is that even when it's loaded up with pantry staples and pots and pans, it still lets a lot of light in. 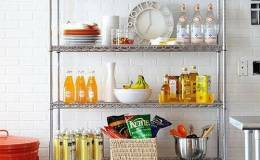 Wire Pantry - House Beautiful: There's a reason this pantry is so beautiful and organized — it belongs to the Barefoot Contessa herself, Ina Garten. We love that even though this space might not have been designed to be a pantry, adding the shelves makes it fit perfectly. Snack Storage - Better Homes & Gardens: Make it easier to snack healthfully by keeping good-for-you foods in plain sight on your open shelving. Hanging Pots - Deeconstructed: S-hooks will be your best friends with wire shelving. 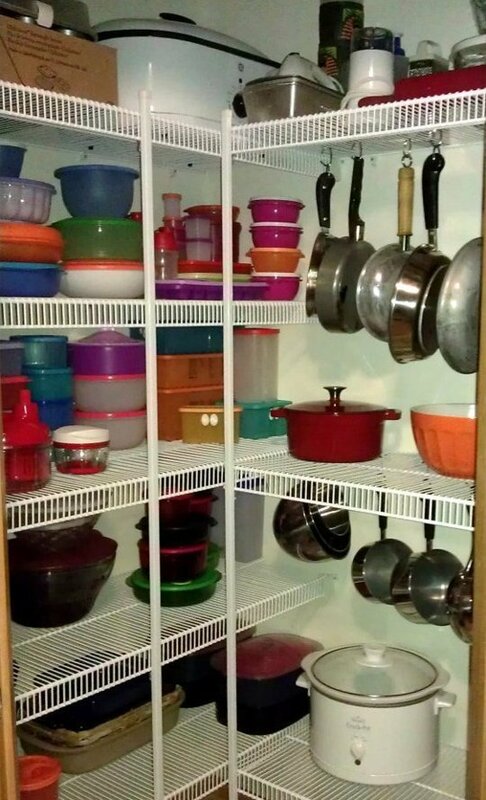 You can hang pots and pans easily without giving up any shelf space. Short Storage - Home Depot: You don't have to have a ton of wall space in order to add wire shelves. This short version fits in almost any kitchen, and still adds a lot of storage. Countertop Storage - Dwell: Don't think that you have to have a lot of floor space to add wire shelves. You can actually add shorter versions above your counters if you don't have built-in cabinets. It's a great solution for renters. 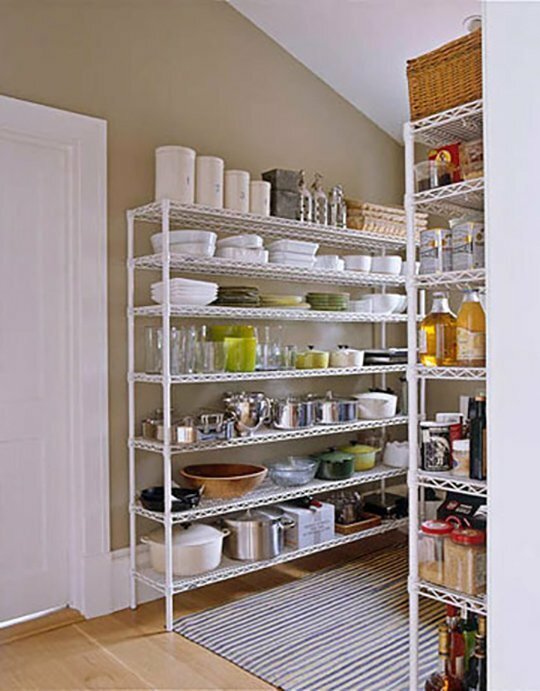 Narrow Storage - Apartment Therapy: You can find wire shelving in a range of widths, so it can be easily added to most kitchens. Plus, it can help you make use of otherwise wasted space. Rolling Cart - Improvements: If you need mobile storage, this narrow rolling cart is ideal. It's just 10 inches wide and can be moved around your kitchen as you need it. Hidden Pantry - House*Tweaking: Most of the time you see silver wire shelves, but we love the white ones, too. Especially on a white wall, they just disappear and make the space feel less cluttered. 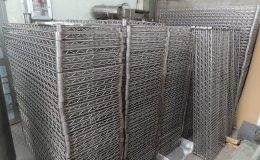 Bulk Pantry - Delightful Order: If you keep a lot of bulk items or baking supplies, wire shelving is the easiest and most inexpensive way to organize all your matching containers.